We can subdivide PPM into two primary phases: the first focusing on the prioritization and selection of projects for the portfolio and the second dealing with managing the projects within the portfolio. Although these two components require different practices and are separate in nature, each affects the other, so they must be integrated. • Guide the preparation of project proposals (business case) so that they can be evaluated. 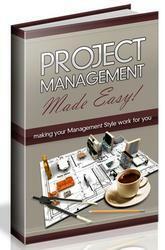 • Evaluate project value and benefits. • Appraise the risks that might modify these benefits. • Align candidate projects with enterprise strategies. • Determine the most favorable use of resources. • Rank projects according to a set of selection criteria. • Select projects for the portfolio. • Execute a strategic plan and subsequent tactical planning guidelines. • Maintain an inventory of available resources. • Establish budget buckets for the portfolios. • Decide on an optimum or acceptable size of the project pipeline. • Establish a set of weighted scoring criteria. • Set some boundaries or guidance for acceptable risk. Details of the prioritization and selection phase are presented in Chapter 2.1. After selecting projects, we manage these projects with an eye toward achieving two sets of objectives: to meet the project objectives (this is the traditional project tracking and control process that we used even before we implemented PPM) and to meet the portfolio (business) objectives. When we execute the ranking and selection phase, we match the characteristics of the proposed projects with a set of selection criteria. Then when we execute the projects, we need to monitor and evaluate any conditions that might alter either of these (project characteristics or selection criteria). Periodically we need to update or confirm the criteria used for project selection. On a regular basis, we evaluate the status and performance of each project. If the performance will change the values that we assumed at the proposal stage (in the business case), we need to consider whether the project should remain in the portfolio. Although delaying or terminating an active project may not always be possible or prudent, we should always consider those options as part of managing the portfolio. To facilitate the periodic evaluation of project status and performance, we can rely on two well-known techniques: earned value analysis and the Stage-Gate® process.1 (Both techniques are discussed in Chapter 2.2. In addition, Chapter 3.6 is devoted to earned value analysis and Chapter 7.1 to the Stage-Gate® Process.